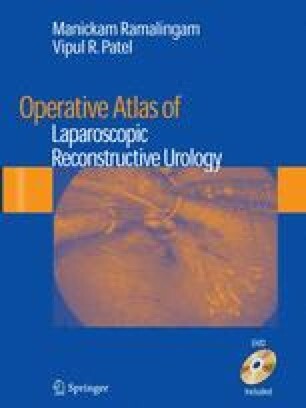 Generally laparoscopy is appropriate for patients with a renal pelvic stone in an ectopic kidney and for those who need adjunctive procedures such as a pyeloplasty. Laparoscopy does not result in nephron injury and is advantageous in children with large stone burden. Percutaneous nephrolithotomy (PCNL) may require more than one puncture in a similar situation. A computed tomography (CT) scan is a useful investigation to determine the exact relationship of the stone to the pelvis and calyces.